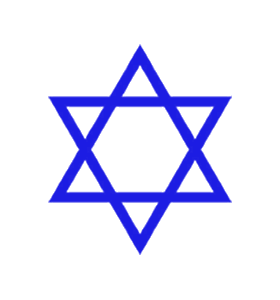 ﻿Start of Passover: Calendar, History, Tweets, Facts & Activities. Passover (Hebrew: פסח) is a seven day Jewish festival which celebrates the Israelites fleeing from Egypt about 3300 years ago. Passover is called such because the Israelites marked their door frames with a sign. It is believed because of this sign God passed over their houses during the plague of the firstborn. The Israelites were servants from the days of Jacob until Moses. They lived through famine in most of Mesopotamia, including Israel. The Israelites built store cities for grain in Egypt (possibly, the pyramids). After 210 years of servitude in Egypt, the Israelites had become 'servant-minded' and did not believe that they could flee. They fled via the Wilderness of Sinai, where they resided for forty years. Traditionally, in accordance with Biblical Law, all Orthodox Jews remove all leaven bread, cakes, flour-containing products and flour-derived products from the Jewish home in the weeks before Passover. These products include beer, whiskey, flour, and all patisserie produces. Any products remaining on the Eve of Passover are given away to non-Jews, sold or burnt. On Passover, Jews are to eat only unleavened bread (Matzah), baked from flour and water and prepared (mixed and baked) within eighteen minutes. Unleavened bread symbolizes Israelites leaving Egypt in such haste they could not wait for their bread dough to rise. On the first day of Passover it is customary to hold a Seder Night celebration with family and friends. During this celebration, the Haggadahis typically read and sang. The Haggadah includes telling the story of fleeing of the Israelite slaves from Egypt, the fact that their dough could not rise due to the hurried exit, blessings over Matzah, and songs of praise and happiness. Traditionally, for Seder a plate is prepared containing the following: an egg - symbolizing the Chaggigah sacrifice; a shankbone, symbolizing Passover Lamb; salt water, symbolizing the tears of the Israelite slaves; a bitter herb, symbolizing the bitterness of enslavement; charoset (a mixture of ground apple, cinnamon, wine and sugar) signifying the cement used in the building works; a vegetable to be dipped in the salt water. The first and seventh days of Passover are considered festivals in which work is not permitted. The intermediate days are Chol Hamoed in which families typically go on hikes and tours, or visit friends. Attend a Seder dinner or learn how to make your own Seder. Make Matzahs. You can watch how to make Matzahs on youtube. Watch a movie that depicts Passover. Our picks: The Ten Commandments (1956) and The Prince of Egypt (1998).